The new museum is going to help tell the stories of the 40,000 Canadian soldiers who participated in Canada's longest armed conflict. It will include an armoured troop carrier called a LAV III. The first piece of a new national museum about the war in Afghanistan was unveiled in Calgary this week. The new museum was recently announced to help tell the stories of the 40,000 Canadian soldiers who participated in Canada's longest armed conflict. Now it will include an armoured troop carrier called a LAV III, which stands for the third-generation light armoured vehicle. 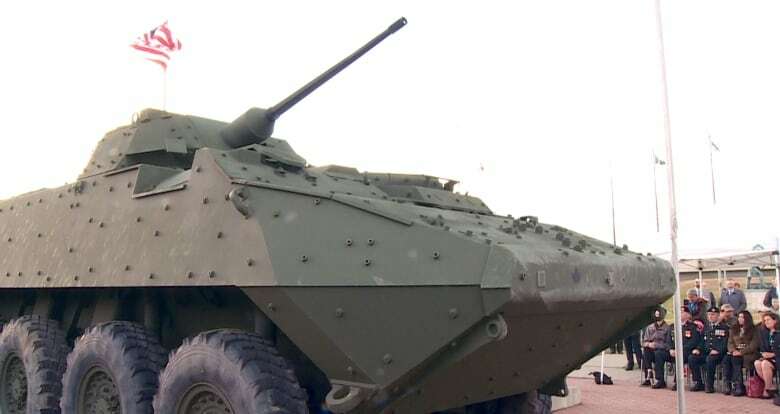 The vehicle was unveiled Monday at the existing Military Museums in Calgary, which also will be home to the national museum when it opens. 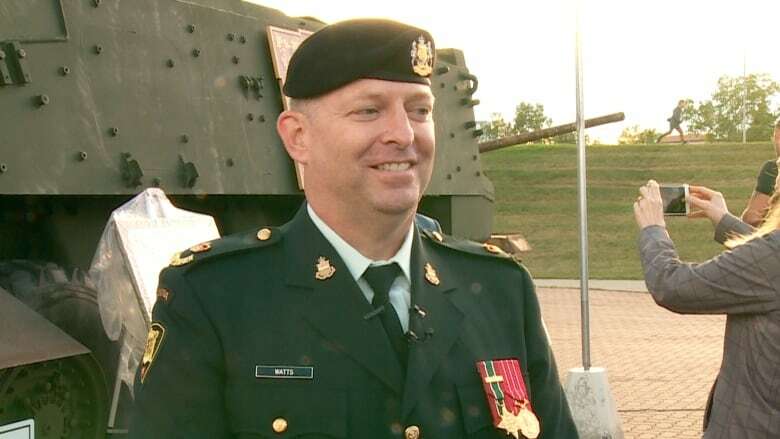 "It's important for the soldiers of today's generation, the young kids that are coming to this military museum, to be able to see a modern vehicle like this that they may have seen on TV, and think about Canadian soldiers that served in Afghanistan," Maj. Darryl Watts said. The LAV III is the primary mechanized infantry vehicle for the Canadian Army. Watts called the addition a memorial to those who served. "It's been almost 10 years since I got back from Afghanistan with my platoon and we lost some of our soldiers over there, so... it's important to remember their sacrifice and what it meant," he said. The Afghanistan war museum is expected to open in five years.